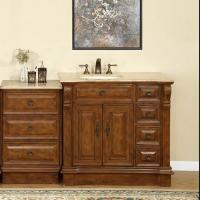 This single sink vanity has added functionality with the additional bank of three drawers that adds to the storage capacity. 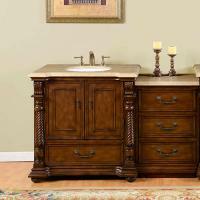 The light cream marble countertop is the perfect accent to the rich warm tone of the walnut finish. 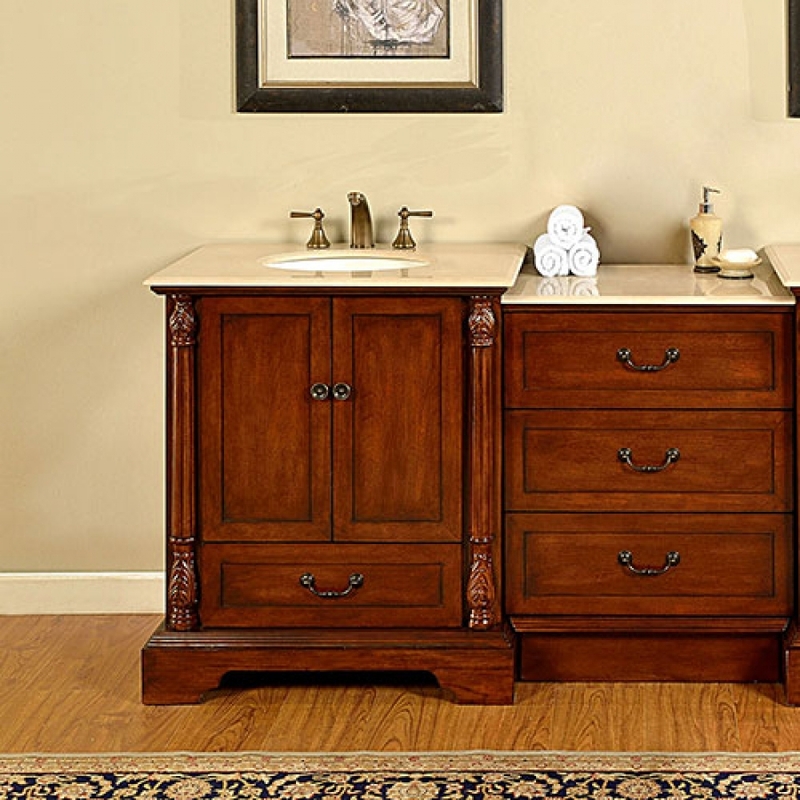 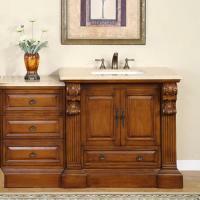 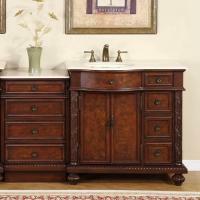 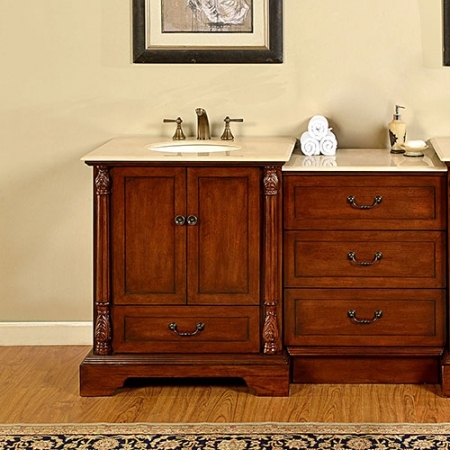 The elegant design of this piece will go well within many types of bathroom dÈcor.